For budding women entrepreneurs who have little or no cash to start a business, things might not come as easily as they do for their male peers. 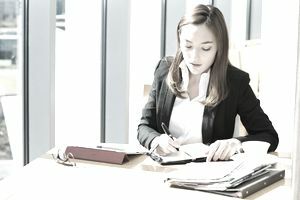 Banks, investors, and lenders, in general, can be harder on women business owners when it comes to loan requirements and approval ratings than they are on men. In fact, men, in general, often receive more cultural support and encouragement from society to just "go for it" than women. But take heart, there are plenty of money-making opportunities that can at least provide supplemental income which can help you set aside your own start-up funds for a larger, more sustainable business later on down the road. Even though most people know that it takes money to make money, the biggest investment in a new business is often your time and passion. ehow.com: Sign up for a free account and submit "How To" articles for publication. The more traffic you drive to your published article page, the more money you make. Solid writing skills and knowledge about the topic you write about are required. CafePress.com: Using Café Press' online tools you can upload images and design clothing and novelty products for free. You can order your own products or simply create a storefront for people to browse. You do not need to maintain any inventory because CafePress prints items on demand as they are ordered. Why not write a book? Writing a book may generate some income for you, but it also helps to brand you as an expert in your field. Print-on-demand (POD) publishing is different from purchase-on-demand printing and true self-publishing services. POD publishers often hide fees so that you think you are getting something for free so do read the fine print and ask lots of questions before getting involved with a printing company. There are dozens of companies that now offer these services including Amazon, and it pays to do your research in this buyer-beware-industry. If the printing company you choose tries to stick you with fees it is best to move on. Since most of the POD companies offer absolutely no support services (including editing and layout services), you need to have excellent writing and proofreading skills, and a general knowledge of typesetting. You will not make it rich using POD services, but a savvy businesswoman may be able to sell 100 or more books through a reputable service.